Steven Dean is a Fellow of the Australian Institute of Mining and Metallurgy, a Member of the Canadian Institute of Mining, Metallurgy and Petroleum, and a Fellow of the Institute of Chartered Accountants of Australia. He has extensive experience internationally in mining, including as President of Teck Cominco Limited (Teck Resources Ltd.). 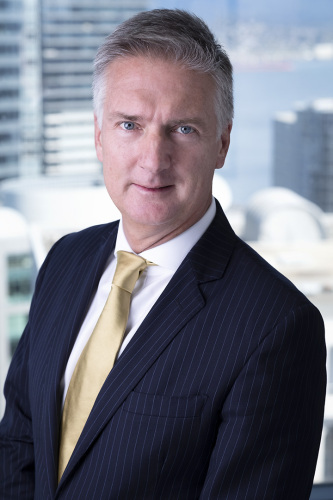 Prior to joining Teck, Steven was a founding member of management of the Normandy Poseidon Group, (Normandy Mining) which was the largest Australian gold producer and a significant producer of base metals and industrial minerals until its acquisition by Newmont Mining in 2002, as well as co-founder of PacMin Mining Corporation which became a subsidiary of Teck Corporation in 1999. He was also a co-founder and former chairman of Amerigo Resources Ltd.
Mr. Dean is the former Chairman and a director of Sierra Metals Inc., and Chairman of Oceanic Iron Ore Corp.